Get the best quotes to provide health insurance for your employees! We will send you an email with the premium of different insurance companies. Also, we will not spam you. Our representative shall get in touch with you shortly. 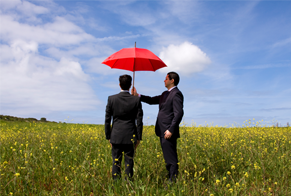 Corporate insurance in different forms is a must for most companies. Whether it is fire insurance, group insurance policies for employees or insuring the machinery in your office, it plays a vital role in the smooth functioning of any business. Be it a large corporate entity or a small business-man, it is crucial that one identifies the insurance solutions that protects the business from slowing down or coming to a halt. Your expensive assets which are crucial for your business should be insured against any risk of breakdown, damage or theft. Employees are probably the biggest asset to any business and providing group insurance solutions, both life insurance and health insurance can be a huge morale booster and employee retention factor. The different types of corporate insurance covers are listed below and every business owner or manager should identify the areas or assets which need adequate amount of insurance cover. MyInsuranceClub.com will help you get quotes from different insurance companies to help you meet your organisation's insurance needs.